An embedding is a relatively low-dimensional space into which you can translate high-dimensional vectors. Embeddings make it easier to do machine learning on large inputs like sparse vectors representing words. Ideally, an embedding captures some of the semantics of the input by placing semantically similar inputs close together in the embedding space. An embedding can be learned and reused across models. Learn what an embedding is and what it's for. Learn how embeddings encode semantic relations. Learn how to use embeddings. Learn how to train meaningful embeddings (using word2vec, for example). 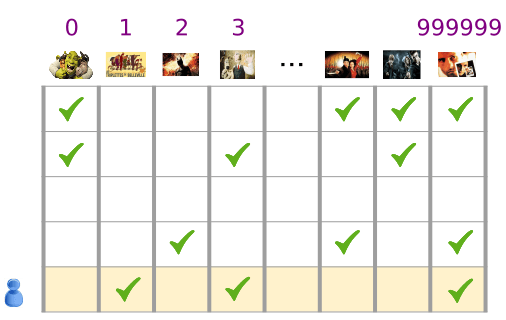 To solve this problem some method is needed to determine which movies are similar to each other. Is not efficient in terms of space and time.